Growing up, I never knew that “blogging” was a thing…and honestly, the Internet didn’t even really become a “thing” until the late ’90s, so in terms of blogging, it’s still actually a relatively new concept. But, here’s the deal. Blogging has forever changed my life and the life of my family. I now get to wake up and do the thing that I love the most with the people that I love the most, every single day. Say what?! Wondering how our lives have changed just this past year alone? I’ll be happy to share that with you…but first, let’s dive in on the topic of personal blogs. Are you ready to discover the best personal blogs on the internet? Personal blogs are some of my favorite blogs. Many people tend to think of them as online diaries of a sort, but honestly, they aren’t. They’re the perfect combination of lifestyle and personality that just draw you in from the very first sentence. Think about the last time you read a blog post that just “got” you. Either the words that were written spoke to you or the emotion and tone in the post really hit home…that is a prime example of a personal blog. It’s a blog that can connect with you somehow, on a personal level. This doesn’t mean that the blogger has to tell stories all about their life or write posts that are set up to be read like a book…but it’s more of a personal blog in a way that the blogger writes with passion, feelings, and emotion and interjects a little of their own personality in each and every post. Truth be told, every personal blog is different. While most people blog about “things” or travel, a personal blog is like a little peek into the minds of the person writing it. The format of personal blogs will be the same as most other types of blogs. They’ll be stories, pictures, emotions…you name it. But it’s the way the content is written that makes it a bit different. Personal blogs actually “allow” in those feelings and emotions whereas other types of blogs typically don’t. And sometimes, those emotions can allow us all to connect together on a beautiful, personal level. Let’s dive into some fun examples of personal blog sites that you should check out. No joke, she’s everywhere. 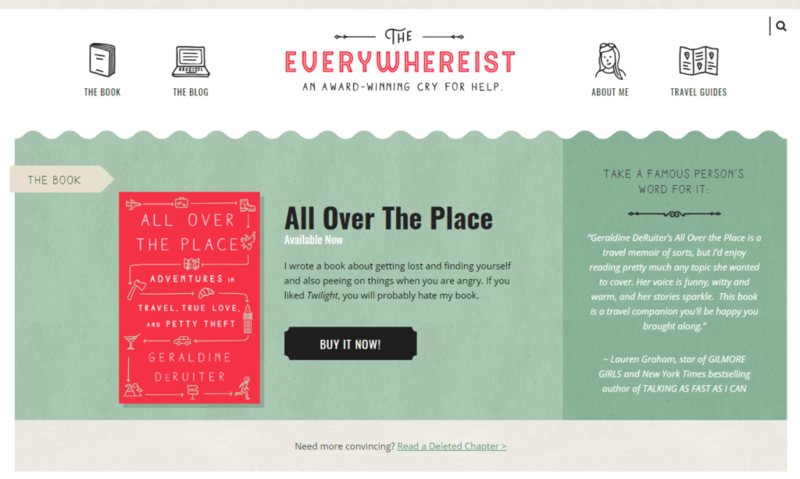 The Everywhereist is the perfect name for her blog. Jet-setting all over the world, reviewing cool places, offering her advice and opinions…you’ll love the real and rawness of this popular personal blog. 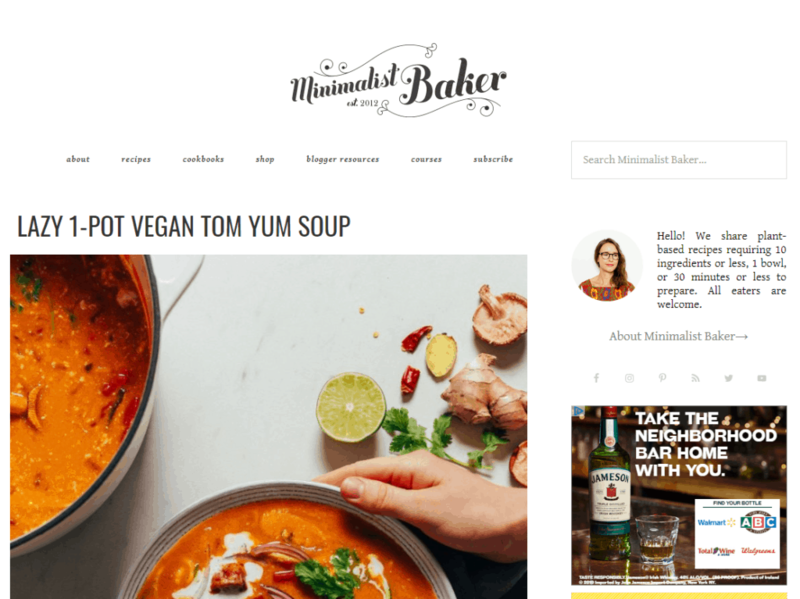 Calling all foodies, the Minimalist Baker has you covered. Get ready for your tails to be wagging and your taste buds craving literally ANYTHING that she features on her site. 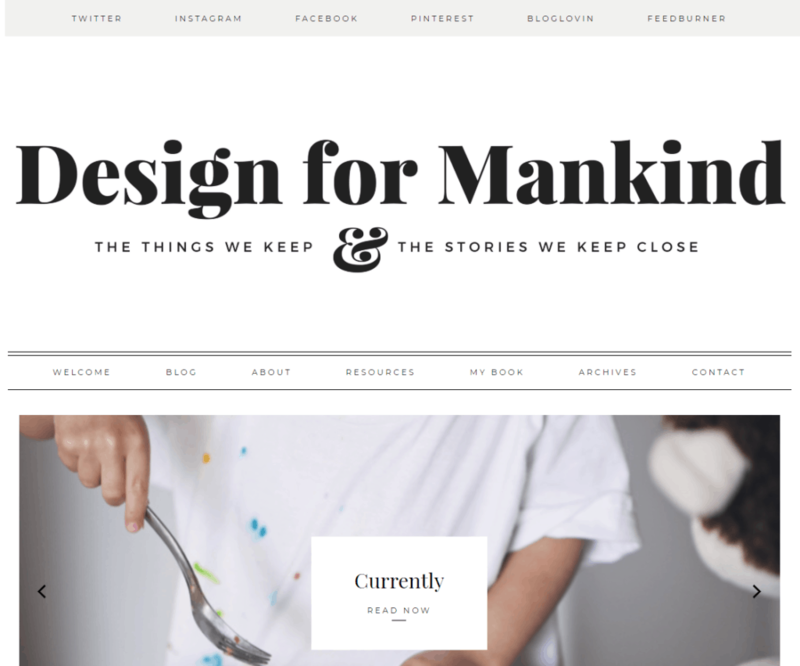 Design for Mankind is one of those blogs that will have you relaxed and filling up your coffee cup for just “one more read”. She’s personal, she’s likable and she writes wonderfully as well to keep you coming back for more. The name of enJOY It really nails it. Her blog is upbeat, fun, creative and you can feel her voice in every piece or post that she writes. Not only does she take amazing pictures, but if you consider yourself a foodie, you need to follow her blog. 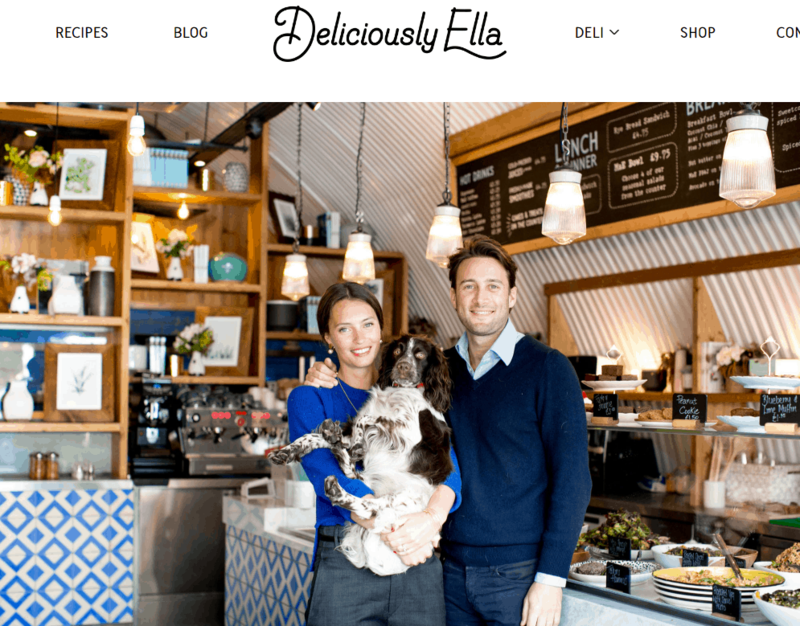 Deliciously Ella takes food envy to a whole other level. 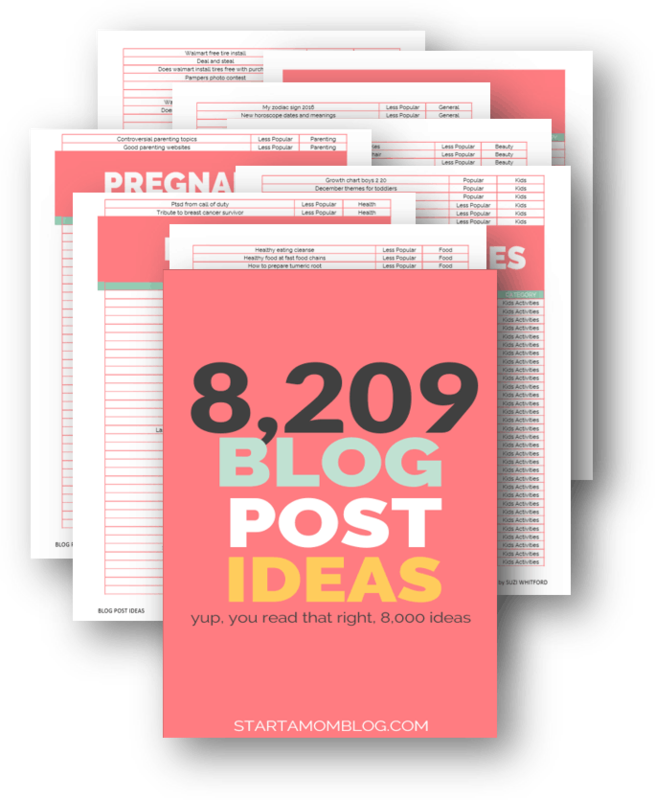 If you’re ready to start a blog, I am so happy for you! My piece of advice? DON’T WAIT. Why wait until tomorrow when you can start today? Starting a blog is one of the best decisions I ever made. And honestly, I wish I would have done it sooner. So much time passed before I got up the confidence and courage to make it happen. I believe in you and your ability to start a blog. 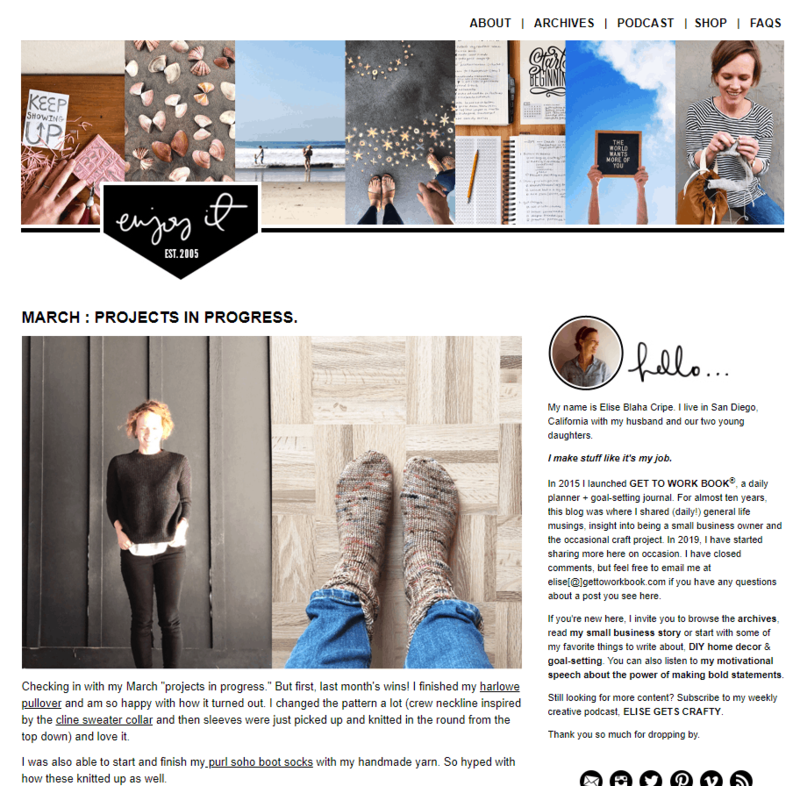 Starting a blog is quick and painless. It’s one of the most simple things to do, ever. If you have 15 minutes of time, you can start a blog. how do you grow a personal blog? Growing a blog is the fun part! And growing a personal blog is no different than growing any other type of blog. The simple answer? Growing a personal blog depends on the amount of time and effort that you want to put into it. I want to be 100% open and transparent with you when it comes to blogging. More than likely, you’ve seen those bloggers online posting about how they went from zero views to hundreds of thousands overnight and were able to quit their job in 2 months time to blog full-time. Now…I’m not saying that doesn’t happen but what I am saying is that it isn’t that likely. Growing a blog takes time, effort and knowledge. (knowledge which I’m here to help you get!) If you want your blog to be a side -hustle, and something that you do for fun, that’s awesome. I applaud that choice and it’s a great one with less stress and more flexibility. However, if you decide that you want your blog to be your full-time income, then it’s time to sit down and make a plan. Starting a blog with the hopes to make money, is 100% possible. Your hard work and effort are what will make this happen. In order to grow your blog successfully, your focus needs to be on creating amazing content and topics. Killer blog titles that drive clicks is what you need to focus on and then once you have that, you need to be certain that you’re crafting and creating content that answers questions and offers solutions. 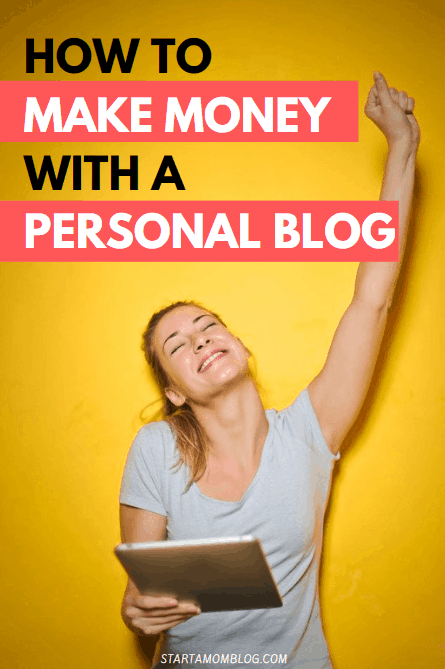 can you make money from a personal blog? Absolutely! There is always a way to make money blogging. You can have partnerships, advertisement revenue, paid sponsored content…and if you want, you can even create your own physical products and courses to sell. The key to making money from a personal blog? You have to get your readers to believe in the words and advice that you’re giving. Build a following and develop trust with your audience and you’ll find that making money from a personal blog is simple. how can i make my blog successful? I get asked this question a lot. And honestly, there isn’t just one right answer. Growing and running a successful blog takes time, but it’s easily doable. And those are just a few things that you can do! Some things you will learn by trial and error while others will come more naturally. I’ve given you a few crumbs up above on how to start a blog and different ways to make money, but it’s going to be up to you to put those pieces of the puzzle together. Don’t worry – one of my passions in life is creating courses and ways to walk you through every single blogging process with ease. 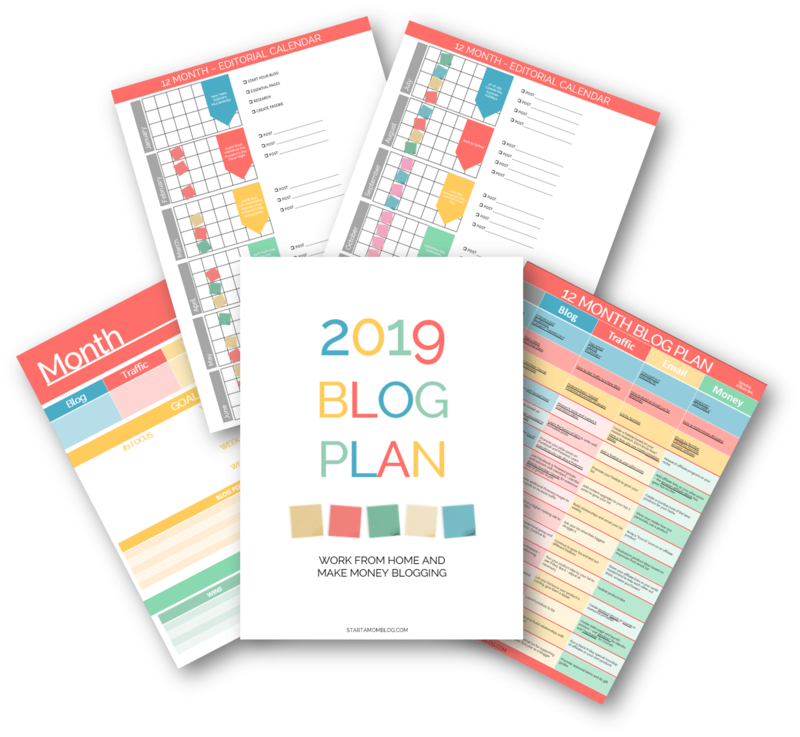 One other piece of advice that I think is extremely important when it comes to starting your own personal blog is that you need to have a game plan of how you want your blog to run. Sit down and create a content calendar or an editorial calendar and write out your ideas and blog topics. Take the time to do your research on what your audience is really wanting to read. If you’re taking time to write posts that nobody wants, then you’re wasting your time. Really focus in and pinpoint on the information that can take your blogging journey to the next level. With the use of Google and Pinterest, those two search engines give you all the info that you need to find amazing and great blog topics! (Seriously – they’ve done it all for you!) Check out my simple tutorial here with step-by-step instructions on how to use Google and Pinterest to up your blogging game. What is holding you back? There is never going to be a better time to make your personal blog a reality. If you need motivation, I’ll motivate you. If you need a cheerleader, I’m here with my pom-poms waving them around as high as I can. I promise you that your questions will be answered and your voice will be heard. And in that promise to you, I need you to make a promise to me as well. Promise me that when you do start your own blog, you give it all you’ve got. And not in an “I’m losing sleep and my health is suffering” kind of way…but in a way that you can rest your head in bed at night knowing that your blog is a perfect representation of you. If you can create a blog and write content that you’re proud of, that’s AMAZING. And if that content can help others out there in the world that may have questions or needs? There’s no better feeling in the world. You have the abilities, now you just need the confidence. Okay, I’ve dangled the carrot long enough, right? Earlier I said that my life had changed because of blogging…I know you remember, right? And I wasn’t bluffing. My life has done a complete 180 because of blogging. My days now consist of me waking up and having breakfast and coffee with my dear hubby and three minions. Then, I get to dive in and check in with every one of you. I am honored to answer questions and guide hundreds of people on blogging each day. Did I think my life would be this way? No, but I hoped and prayed for it. And along with that hope, I put in a ton of hard work, research, and effort. And the result? I was able to retire my husband, find a way to cover all our bills and necessities and enjoy spending every moment at home raising our family, all while getting to meet and interact with you. Are you ready to get started on your own personal blog journey? If your answer is yes, it’s time to take that first step! For those of you who have your own personal blogs, what is one tip that you would give someone who is just starting out?